After you have enabled scripting refresh this page. 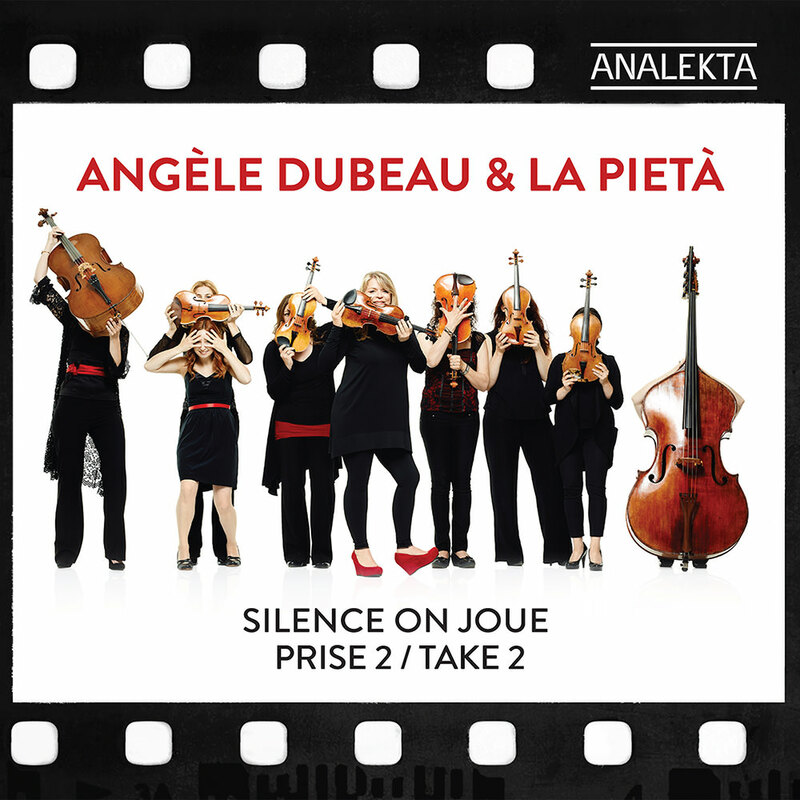 This sequel to a 2012 gold album from violinist Angèle Dubeau and La Pietà brings together more of the greatest film and television music, from Downton Abbey and Game of Thrones to Forrest Gump and Harry Potter. "I thought that, for the 40th album of my career, I would quite simply respond to the great many requests I regularly receive: namely to do another recording of movie music, but this time enhancing the experience by offering a double album. There was a lot to choose from and I let myself be drawn to music that is both beautiful and powerful and that remains evocative even when removed from its original context. Some of these melodies are on the sweet side, while others are more savory and together they cover the gamut of emotions." © 2019 ProStudioMasters.com, Inc. All rights reserved. High-resolution audio offers the highest-fidelity available, far surpassing the sound quality of traditional CDs. When you listen to music on a CD or tracks purchased via consumer services such as iTunes, you are hearing a low-resolution version of what was actually recorded and mastered in the studio. ProStudioMasters offers the original studio masters — exactly as the artist, producers and sound engineers mastered them — for download, directly to you. What do I need for playback? You may need additional software / hardware to take full advantage of the higher 24-bit high-res audio formats, but any music lover that has heard 16-bit vs 24-bit will tell you it's worth it! iTunes : plays AIFF, it's free and you probably have it already! Meridian Explorer : USB Digital to Analog Converter, up to 192kHz/24-bit. AudioQuest DragonFly : USB Digital to Analog Converter, up to 96kHz/24-bit.